This website pulls together my work on a range of issues in economics and environment. It emphasizes publications since the mid-1990s; most of my earlier writing is not available in electronic form. 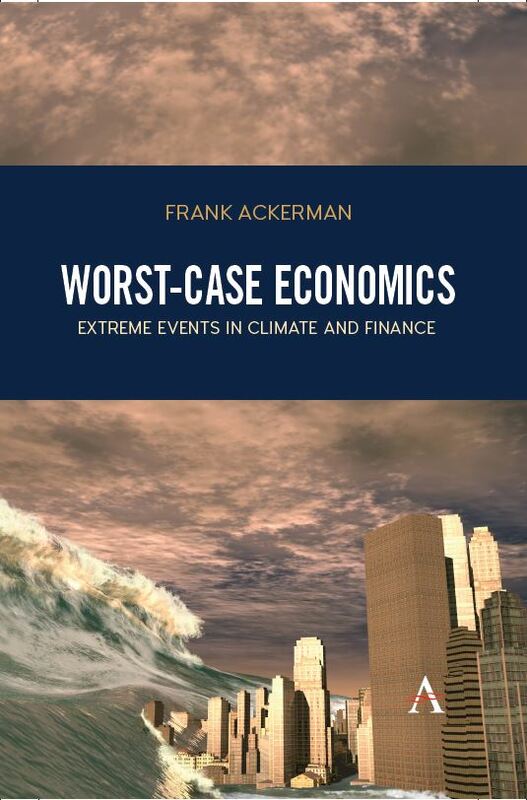 My latest book is Worst-Case Economics: Extreme Events in Climate and Finance (2017). Most of my work since 2007 has been on the economics of climate change and energy. Since 2012 I have been at Synapse Energy Economics; some of my recent reports appear on the Synapse website but not here. From 2007 to 2012 I worked at the Stockholm Environment Institute’s U.S. Center, often in collaboration with Elizabeth A. Stanton and Ramòn Bueno. Most of my work from 2000 to 2006 focused on cost-benefit analysis and regulations, with applications to toxic hazards and chemicals policy. Lisa Heinzerling and Rachel Massey were frequent coauthors. In the same years I also examined the economic and environmental impacts of globalization and trade liberalization, with Kevin Gallagher and other coauthors. Writing on economic theory and methods was a major focus in the late 1990s, often in collaboration with Neva Goodwin and others at Tufts University’s Global Development and Environment Institute (where I worked from 1995 to 2007). 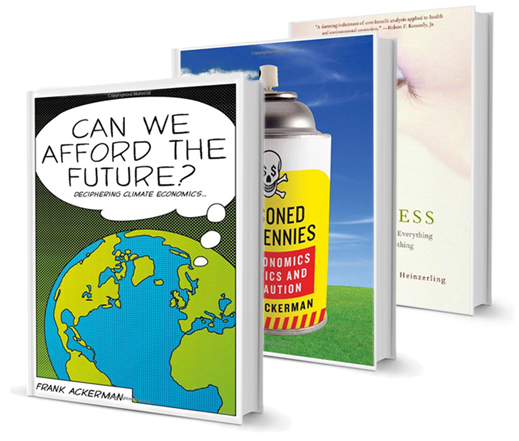 Earlier in the 1990s, my work centered on the economics of waste and recycling. Selected publications are listed here; many of my studies in this area, done at the Tellus Institute, are available only in hard copy. A final area of interest - with a shorter list of publications - involves macroeconomics and crisis. My blog posts have appeared on Triple Crisis, Real Climate Economics, CPRblog, and Grist., among others. I am occasionally on Twitter (@FrankAckerman12); I'm not on Facebook. It has unfortunately become necessary to add a page to this website responding to Richard Tol's attacks on my work. On a very different note, my wife, Becky Sarah, has written an excellent book, Grandmothering: Real Life in Real Families. I recommend it, for anyone who is or knows a grandmother.